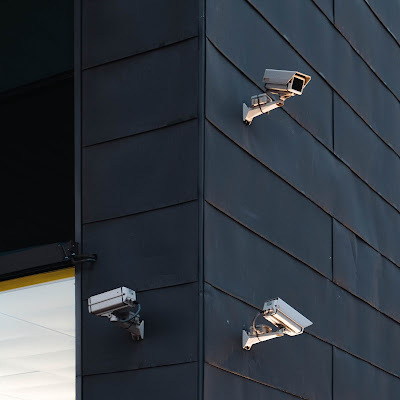 It has become a relatively common sight to see CCTV cameras around the perimeter of most businesses and it has been becoming more known and used in the Philippines not only by businesses but also by homeowners. CCTV in the Philippines are now becoming more popular in and around homes, and even on streets. CCTV is one of the easiest systems to set up and just about anyone can do it, but of course the best way to have it at your home is to hire some to do CCTV installation so that it is setup properly to make the most of it. 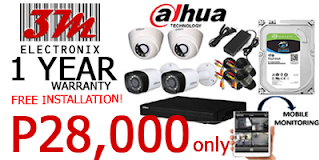 As a CCTV supplier in Cebu Philippines it is a very inexpensive security system that can help to keep both you and your family safe, and be able to monitor not only your home but also your business from afar. CCTV cameras can help to improve your security and here's why you should install them as soon as possible. (1) When you have CCTV camera Philippines on your property, it makes it less likely that thieves and other criminals will target your home. The cameras act as a visual deterrent and it is important that you make sure the cameras are visible so that people can see them. (2) Another benefit of having these CCTV installation Philippines at your home or your business is that they allow you to monitor your property whether you are at home or out. You can set up these cameras in blind spots that you can't really see so that if you hear any unusual noises, you can check the cameras first before investigating for your safety. (3) By having the cameras, you will know when there are burglars or other unwanted people on your property so that you can immediately call the police and not put yourself or your other family members in danger. You can even use these cameras in the event that someone is at your door and you don't know who it is. Instead of using the peephole or taking a risk and opening the door, you can simply check the cameras to verify the identity of the person. (4) Having CCTV installation Philippines around your home or place of business, it doesn't only just prevent criminals from breaking into your property, but they also helps in identifying them if they do break in. In the worst case scenario where your home is broken into and your valuables stolen or family members harmed, you can check the CCTV footage to see who the criminals are so that they can be brought to justice. As a result, this will help to keep everyone safer and not just you and your family. In closing, we have just looked at some reasons why you may want to have CCTV installed. It can truly improve the safety of your home and loved ones, so be sure to consider installing them by getting in touch with us for a CCTV survey and installation. 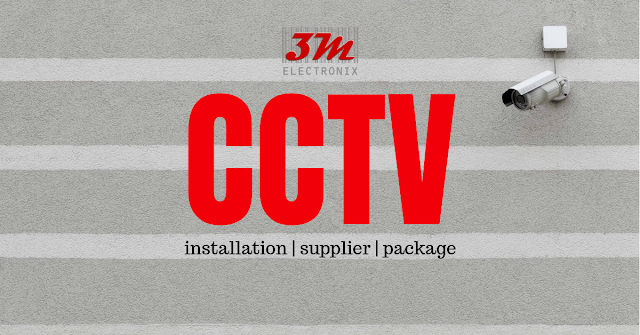 3M Electronix brings you our CCTV packages for Cebu residents (homes), that brings security at your home and you being able to monitor everything at home wherever you are in the world. Monitor everything at your home from your bedroom or right at your fingertips in your mobile anywhere in the world. 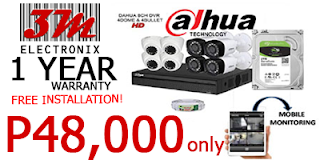 Here are the following CCTV packages we offer that comes with FREE CCTV INSTALLATION and 1 YEAR WARRANTY! This packages are not applicable for businesses since we do require to make a survey on your business building first. Please note that this is a Cebu CCTV package, for outside of Cebu residents kindly please contact us! 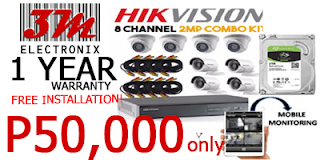 As a CCTV camera supplier not only in Cebu, but in the Philippines, and as a electronic shop that have engineers in our team and technicians we have the capability to do CCTV installation service and can offer you CCTV packages that is best for the property that you wish to have our CCTV installer team to put up the cameras. With our years of experience in electrical industry, hardware development, and our skilled team we are capable of providing you the top quality service just like our other clients that have availed our services. We require that we do a survey first of the area before offering you what package is best for you, since you may need more or less cameras and other CCTV accessories for the security of your property. Don't hesitate to get in touch with us or inquire about our CCTV installation service through this form. As an electronic shop and years of experience of experience in this industry we are capable to supply you with the top quality CCTV cameras and accessories. 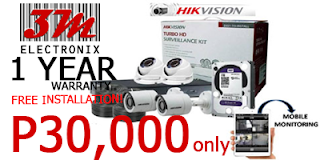 As a CCTV supplier based in Cebu Philippines we offer you the best rates in our cameras, and we are also an authorized Hikvision cctv supplier Philippines. With that we can guarantee that our cameras are in top quality!